This presentation, featuring Jake Carter, Senior Tax Manager with JCCS, will give an overview of the new tax law and how this affects both Businesses and Individuals. 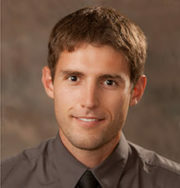 Jake Carter is a Senior Tax Manager with JCCS. As a public accountant, he primarily works with Small Businesses and Individuals but also specializes in International Taxation. Originally from Missoula, Jake moved to the Flathead Valley in 2013 and looks to continue his career here in our area; helping local businesses and members of our community with their accounting and financial needs. Jake will give us a general overview of the new tax laws that were passed in late-2017 under the Tax Cuts & Jobs Act bill and explain how these changes will potentially impact you and/or your business.